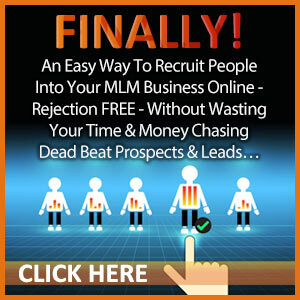 If you are getting started with an MLM business, you are likely thinking about the best way to make money. Network marketing is one of the best ways to make money by putting in a few hours of work a week. I know, you think that sounds too good to be true! When I started my network marketing business, I was working full time. I had a busy life and just a few hours a week to work on my business. I made those few hours count and the profits from my business continuously grew until I was able to leave the full time job altogether. 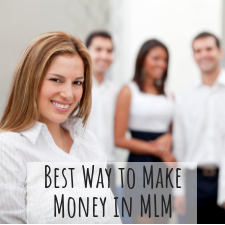 Today I have some tips about the best way to make money in MLM, whether you are new or have very little time. 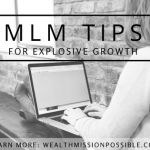 Before I get into some proven tips to make money in network marketing, let’s answer the question that gets asked the most: Can you even make money in MLM? It’s a great question and one that you should ponder before you get involved in MLM. Henry Ford once said: If you think you can or think you can’t, you’re right. 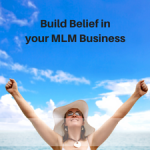 Despite the negative myths about network marketing and the high failure rate, some people think they can make money in MLM. Others believe they cannot make money in MLM and they usually don’t. Your own belief in what you are doing and your persistence to push forward with your goals will help determine whether YOU make money in MLM. One of the biggest reasons why people don’t make money in this business is that they quit. They lack confidence, feel it’s too hard, like their comfort zone, or a million other reasons. At the heart of that is the fact that the startup investment is very small and people don’t take it as seriously as if they invested a million dollars in a business. On the other hand, my strong belief and persistence in pushing forward with my business made me a lot of money over the years. Enough to live life on my terms, spend lots of time with family, and travel. So, yes … ordinary people like you and me can definitely make money with network marketing! How Long Does it Take to Make Money in MLM? Network marketing is not a get rich quick business. It’s a do-the-work, long-term business. When you work for an employer, you get a paycheck every week. When you have your own business, it does not work that way. Every person will have their own experience of how long it takes to make money in MLM. I remember being thrilled at my first paycheck of $50 after a couple of months of hard work. It kept getting better from there. Having the right expectations is the best thing you can do for yourself. I remember this guy who wanted to join my MLM team. He absolutely wanted to be making about $10,000 per month within 2 months. I told him that was an unreal expectation and he decided not to join the team! Adios! Most people with unrealistic expectations in MLM end up not putting in the work and then they just quit. Making money in network marketing is simple, it’s just not easy! You can follow some simple tips consistently to build your business into a successful profit maker. These are the same things that I did when I started my business part time. How you spend your time is crucial to your success in any home business. I talk to people all the time who tell me they are super busy but not making any money. I always ask exactly what activities they are doing. There is busy work that makes you no money. If you are “busy” reading your Facebook feed or constantly checking your email, that does not count as income producing activities. Reaching out to people about your business and products should be your first focus, followed by helping them understand how your products, services or business can help solve their problems. Viewing your MLM business as a REAL business is one of the most important things you need to do. The majority of people do not succeed in network marketing because they don’t view their business like a real business. They treat it more like a little hobby and don’t take it seriously. That is a formula for failure. If you started a traditional business or a franchise, it would cost you hundreds of thousands of dollars in startup costs. You would treat it like a serious business, wouldn’t you? Just because your home business has a low startup of a couple hundred dollars, treat it like any other business if you want to make a huge profit. It would be silly to base your business on products or services that you didn’t love or even like a little bit. If you don’t love the products, why would anyone else love them? 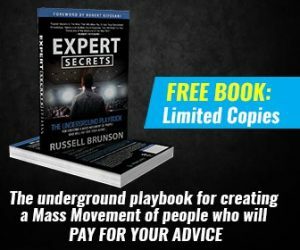 You may get caught up in the hype over all the potential money you can make without really researching and using the products. I recommend that you research and use the products (or service) before you explore the income potential. Building a business with products you love is much more profitable than trying to sell people on stuff you don’t like. This may seem obvious but people do it! Don’t be one of them. If you find your friends and family running the other way when they see you coming, it’s probably because you are persistent in trying to get them to use your products or join your business. Now, if you want to stay on good terms with these people, don’t do that! Certainly it’s good to let people know what you are doing, but they may not be your target market. For example, I lead a very healthy lifestyle. If a family member tries to constantly aim their weight loss products at me, I will get annoyed since I am definitely not their target market. Do some market research and discover what type of people are in your target market and then find them. Better yet, let them find you using attraction marketing methods! Are you so excited about your business and products that you blab on and on to people? Not good! It’s important to be interested in the other person and understand their needs. No one wants to listen to all the details of your product, especially when you haven’t given a moment to understand if it’s even a solution for your prospect. Be a good listener and be more interested in hearing what your prospect has to say. Ask questions and find out what their problems are. Only then can you educate and present your offer as a solution. Starting a network marketing is exciting and can definitely change your life for the better in many ways. Get started the right way and stick with activities that will keep you on the path to success. 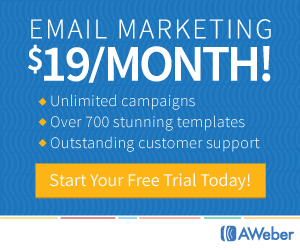 Using the Internet to attract prospects to you is one of the best ways to get leads, sales and sign-ups in your business! Unlock the 3-Step ‘Top Earner Framework,’ and Learn How to Leverage the Power of the Internet.